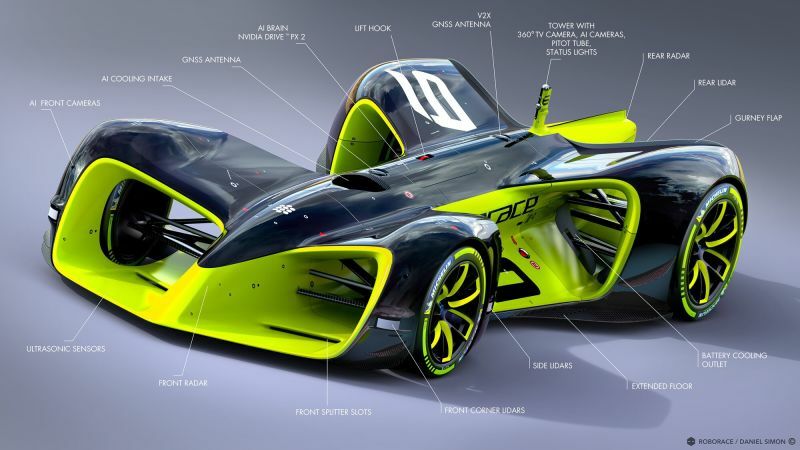 Designed by Daniel Simon, the same man who designed the futuristic cars for Tron: Legacy, Roborace is an electric autonomous racecar set to hit the track later this year. 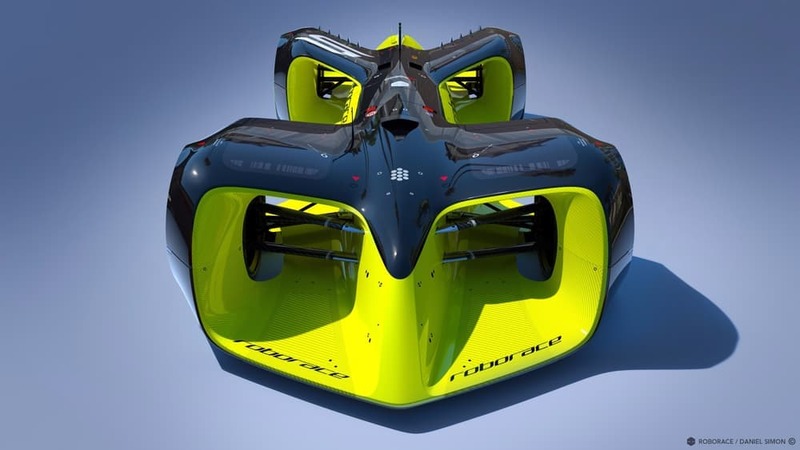 The design of Roborace goes in a different direction than that of traditional racecars due to the fact that is does not need to be designed to protect a driver. Simon explained, “My goal was to create a vehicle that takes full advantage of the unusual opportunities of having no driver without ever compromising on beauty. Racing engineers and aerodynamicists have worked with me from the beginning to strike that balance. It was important to us that we generate substantial downforce without unnecessary parts cluttering the car. This is largely made possible by using the floor as the main aerodynamic device and we are currently developing active body parts that are more organic and seamless than solutions today.” However, the absence of a driver means the vehicle has to rely on data obtained from a variety of sensors and cameras. It features Lidar sensors on the front bumper, front flaks and rear, radar units on the front and rear, as well as AI front cameras and an antenna with a 360-degree TV camera. The Nvidia Drive PX 2 brain powers the vehicle and processes all of this raw data at lightning speed. Additionally, the absence of a human driver at the wheel prevents the vehicle from being weighed down and engineers are expecting to see the car exceeding 180 miles per hour. 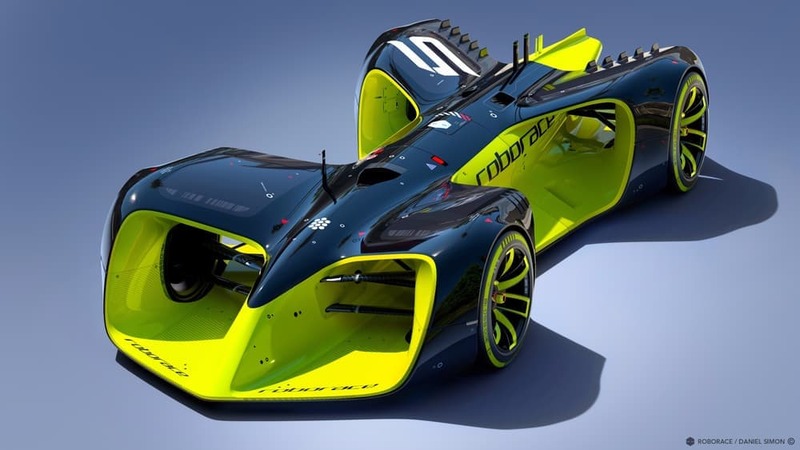 It probably won’t be any time soon that electric racecars replace the traditional ones, For starters, however, Roborace competitors are set to compete in identical cars – composed of 10 teams with two cars each – during the Formula E championship season.